Back In The Gi » Blog Archive » Your art wouldn’t work in real life, man! Your art wouldn’t work in real life, man! Martial arts are supposed to instill confidence and respect, but you wouldn’t know it to hear martial artists criticizing each other. I mentioned previously that there is an amazing tendency — sometimes taken to rather humourous extremes — to critique other people’s katas as though any variations from what one was taught must be completely wrong. It’s even worse when practitioners of one art start talking about other arts. Invariably, the discussion will come down to a claim that other arts “wouldn’t work in real life” or “would be useless on the street”. Taekwondo is too flashy and is only useful for board-breaking and winning trophies. Aikido only works on compliant partners. Karate only practices to defend against unlikely attacks. And so on. 1) There is far more variation in ability among martial artists within a style than there is in practicality among styles. In other words, what matters most is the individual, not the art. 2) 99.9% of martial artists will never use their training in a real fight, so it’s irrelevant which art is most effective under some scenario that the vast majority of people will never encounter. For the same reason, any claims about which art is better “on the street” is merely speculation. The odds that two martial artists of equal physical abilities and levels of skill from two different arts will end up in a fight with each other are infinitesimal, so arguments about which arts are better against which other arts are even sillier. 3) Serious training and advanced skills in any martial art is vastly better than no training and no skills. Strength, flexibility, fast reaction time, stamina, coordination, balance, and keeping a level head — which you should get from training in any martial art — will contribute as much to success in a fight as any particular set of techniques that your art may emphasize. 4) Every martial artist ends up mostly training to fight other practitioners of their own art. 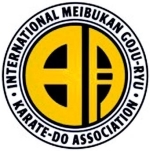 They may simulate attacks from other arts, but karate students practice with karate students, jiu jutsu students with jiu jutsu students, and aikido students with aikido students. How could it be otherwise? 5) Training in a martial art, day in and day out, with all the pain that comes along with it, so that someday, maybe, if you are in a fight you won’t get hurt — well, that doesn’t make a lot of sense. The best self defence by far is avoidance anyway, so it is much more reasonable to focus on the many other benefits of martial arts training which, again, apply to any art. But wait! What about Brazilian Jiu Jitsu (BJJ) or Mixed Martial Arts (MMA)? Those are clearly much more effective in real combat than any of the dusty old “traditional” martial arts, aren’t they? A lot of people seem to think so. Here’s a clip with highlights from a recent BJJ world championship. Does this resemble what you imagine most street fights will be like? Here are a couple of examples of real fights, evidently between BJJ practitioners and untrained opponents. Obviously even basic skills in BJJ are much better than no skills. Advanced skills in BJJ probably would have been very effective in these situations. But what if the crowd doesn’t just watch, and instead the guy has a buddy or two who join in? Would going to the ground on purpose be a good strategy? Could you take your time in the guard position while you work to land an arm bar or triangle choke? How about MMA? Those guys are in shape. They train hard. They fight with real punches (wearing gloves) and they grapple to real choke-outs or submissions (with a referee). But in this clip, you can see what happens when some very skilled MMA fighters get put into a realistic combat scenario against marines. Let me be perfectly clear. I think BJJ, MMA, boxing, and traditional martial arts are all valuable and worth training in if they interest you. I am merely countering the persistent claim that arts like BJJ and MMA are useful on the street whereas other arts are useless. For a more detailed treatment of the topic, I highly recommend Rory Miller’s book Meditations on Violence: A Comparison of Martial Arts Training & Real World Violence. As for me, I think each martial art has a lot to offer and that whichever one you choose, the focus should be on doing it to the best of your abilities. I also think that one should try to be open to learning from other arts and that sharing of knowledge among practitioners of different styles would benefit everyone involved. Martial artists have a lot more in common than they have dividing them, so it is pointless to argue about which is better under imagined conditions. If you train hard, focus on self perfection, and remain realistic in your expectations for what real violence would be like, you will do well. If you practice avoidance to minimize the odds that you’ll ever need to defend yourself in a fight, you’ll do even better.